36 years, 6 months, 1 day old age. Nauheed Cyrusi will turn 37 on 19 October, 2019. Only 5 months, 28 days, 11 hours, 30 minutes has left for his next birthday. Nauheed Cyrusi has celebrated the total number of 36 birthdays till date. See the analysis by days count and bar graph. 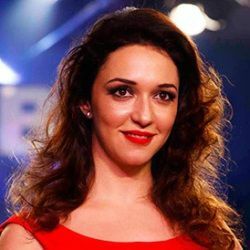 Nauheed Cyrusi was born on 19-10-1982 in Mumbai in the state of Maharashtra, India. She is an Indian Film Actress, Model, Video Jockey & Television Actress who known for her work in Hindi and Telugu Cinema. Nauheed Cyrusi since her childhood willing to become an air-hostess.But her destiny had decided something else, she pursued in modelling and after remained in the modelling world for 3 years she made a decision of becoming an actress. She did her schooling from Dundonald High School and did her graduation from Belfast Metropolitan College. At the age of 14, she appeared in Dhara Refined Oil advertisement. Later on, she became the popular face in the advertisement world and she appeared in many Tv commercials such as Britannia Little Hearts Biscuits, Head & Shoulders and Himalaya. In 2000, she appeared in the video album Piya Basanti which is Featured by Donovan Wodehouse and K. S. Chithra and Sultan Khan sang the song for the album. In 2003, she made her acting debut from the Hindi film Supari. In 2004, she made her debut in Tollywood from the Telugu film Sakhiya opposite Tarun Kumar. She also appeared in the Fashion shows such as Allen Solly Fashion Show and in 2007, she walked on the ramp for India Fashion Week. In 2009, she participated in the most popular reality show Fear Factor: Khatron Ke Khiladi-season 2. In the subsequent time, she was cast in her first English language film Rockin' Meera in 2006. In 2008, she appeared in the multistarrer film Bhootnath as Tina and she shared the screen with superstars of Bollywood such as Amitabh Bachchan, Juhi Chawla, and Shah Rukh Khan are in the main lead. Till the time, she had established herself in the entertainment world and the year 2009, was the year brought the fame for her by her appearance in Hindi films such as Main Aurr Mrs Khanna, Kurbaan and Betchalor Party. In 2013, she appeared in the reality show Welcome - Baazi Mehmaan-Nawaazi Ki on Life Ok's as a contestant. In 2014, she acted in the Salman Khan's film Jai Ho and despite that, she was so pleased and fortunate to work with the mega stars of the Bollywood. She is married to Rustam on 05 January 2017 after a longtime affair. In 2003, she made her debut in films from film Supari. In 1999, she had her appearance on the TV: from the serial "Hip Hip Hurray". At the age of 14, she had her first modeling assignment was for advertisement of ‘Dhara Refined Oil’. She wanted to become as airhostess since her childhood. She walked on the ramp for the fashion shows such as India Fashion Week 2007 and the Allen Solly Fashion Show. Being a popular Indian model she appeared in many Tv commercials such as Britannia Little Hearts Biscuits, Head & Shoulders, and Himalaya.